Especially if your loved one has Alzheimer​'s and is residing in a memory care unit, you might want to make an album for each person in his or her life. This can help represent the growth they are undergoing as they age. Many people with memory loss seem to have each individual in their life frozen at a certain age. This can make seeing an older version of them very confusing and disorienting. Create a photo album for each person your senior loved one sees frequently. This way he or she can look at them to remember who they are. Photos from a senior's past can take them back in time to pleasant memories that they can still recall. 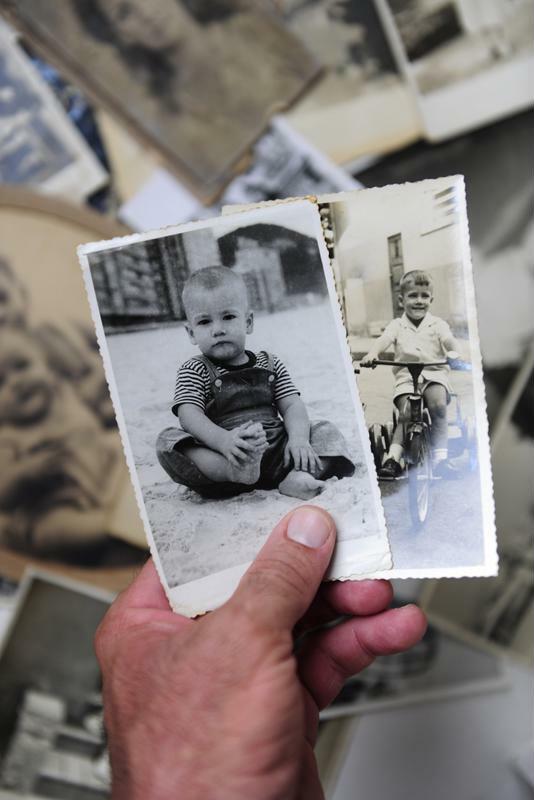 You can help your loved one recall memories in the distant past with the help of a photo album as well. See if he or she has any photographs from his or her childhood or younger days. Go through the albums and photos with the senior. Have your loved one flip through the pages and tell stories about the faces he or she remembers. You may be surprised how much the senior lights up from being able to recall something from the past. People who are in the beginning stages of Alzheimer's may be especially likely to find this reassuring, as losing their memory is a new experience. Some senior loved ones are tech-savvy and enjoy browsing the Web. If you have a new baby or are active on social media, you likely post quite a few photos that your loved one may want to take a look at. Consider starting a family photo sharing page where people the older individual knows can post shots of their lives. He or she can easily stay updated on how the grandchildren and even great-grandkids are growing up, as well as work on his or her memory. This is helpful in that he or she may better recognize someone the next time he or she visits because of his or her familiarity with the photographs. Make sure to write down both the photo sharing website address and your senior loved one's account name and password. Also keep copies of this information with you in case the older individual loses it or can't remember where to locate it. You can easily help the individual log in over the phone so long as you have their profile info on hand.